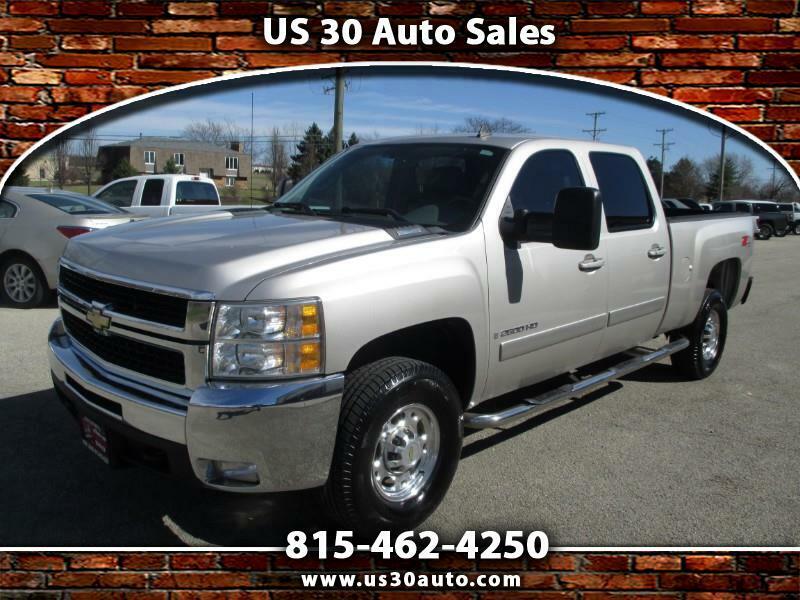 2008 Chevrolet Silverado LTZ 25OO HD DURAMAX Crew Cab 4X4 WITH ONLY 117K TEXAS RUST FREE MILES in stunning pewter and in PRISTINE CONDITION inside and out and has been well cared for and maintained .....THIS HD DURAMAX is loaded with options and is ready for work or play. 6.6 LITER DURAMAX,, ALLISON automatic, leather power heated seats,power windows, door locks, mirrors, keyless entry system and the list goes on. A TRUE TIME CAPSULE FIND. call today to schedule a test drive or apply for financing.